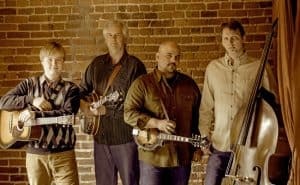 “Frank Solivan just keeps getting better, as a songwriter, arranger, singer and, not the least, instrumentalist” says Bluegrass Today. He and his guys are among the new generation of groups moving the genre forward to a younger, broader audience. “Ranked among the ‘buzz’ bluegrass bands… a razor sharp, confident quartet” says Bluegrass Unlimited. Well, now, the experts have spoken- these dudes are for real!